Maserati has teamed up with one of Italy’s leading fashion houses to produce a limited edition of the Quattroporte. Expected to go into limited production in 2014, the car is being hailed as one of the most luxurious to ever emerge from Maserati’s stable. The Quattroporte Ermenegildo Zegna will feature extensive restyling with a special effect paint, which will use ultra-fine aluminium pigments to give the impression of fluid metal. This special paint will also be applied to the car’s 20-inch Mercurio rims, along with a mirror-polished finish. Inside the Quattroporte will get even more leather, with Zenga giving the interior a through ‘designer’ overhaul. Interior components such as seats, door panels and roof lining will be improved and softened, while behind the sun visor, a real fabric label, made exactly like those sewn into the linings of Zegna suits, will be fitted to give a reminder of the car’s exclusivity. Under the bonnet the Quattroporte will be powered by a standard V8 twin turbo engine with 540PS and 710Nm or torque. Top speed will remain at 190mph, with the 0-62mph sprint taking just 4.7 seconds. 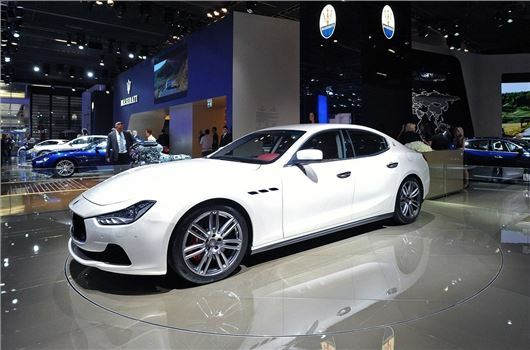 Maserati hasn’t given any indication as to how much the Quattroporte Ermenegildo Zegna will cost, or how many will be built, but expect it to exceed £100,000 when it reaches showrooms in 2014.